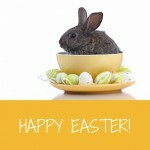 Another short working week, and my last before holidays! 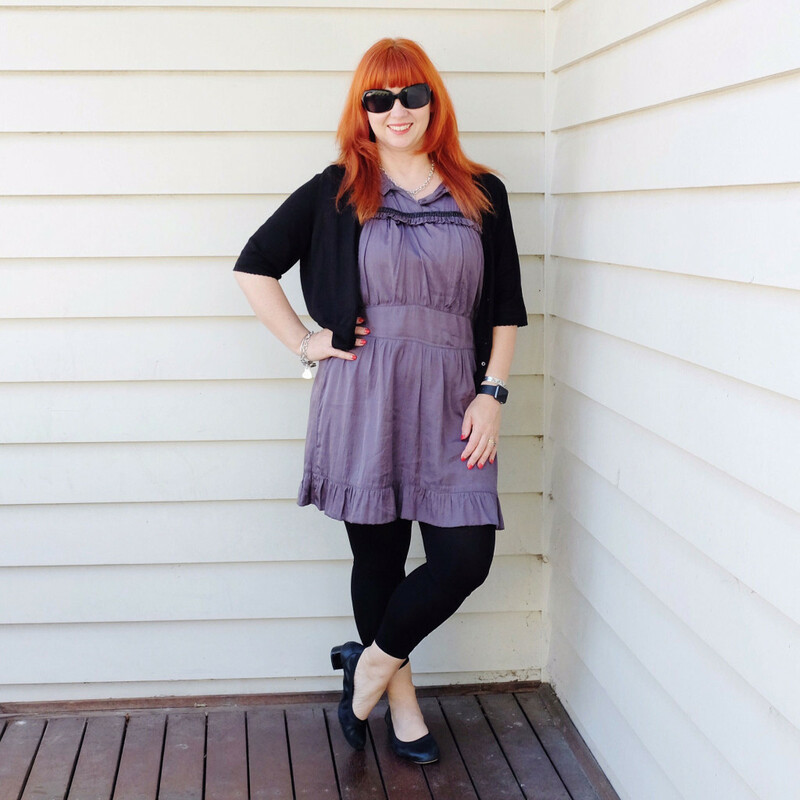 The weather is finally transitioning into Autumn, and as a result, I am rediscovering my cooler weather wardrobe! 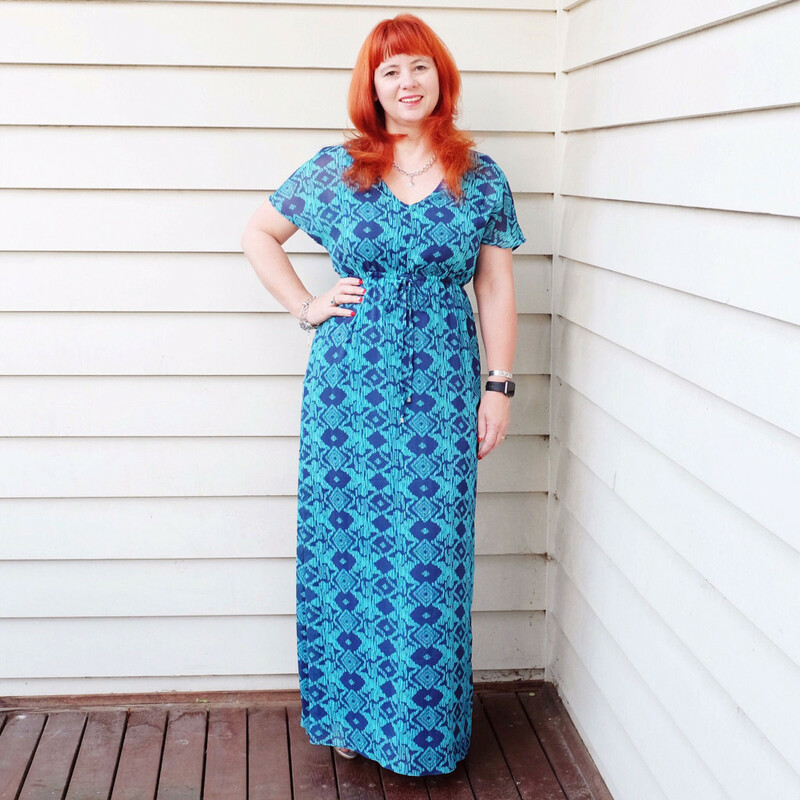 Started the week in an old Jaqui E maxi dress that I found in the back of my wardrobe…and one I have never worn! 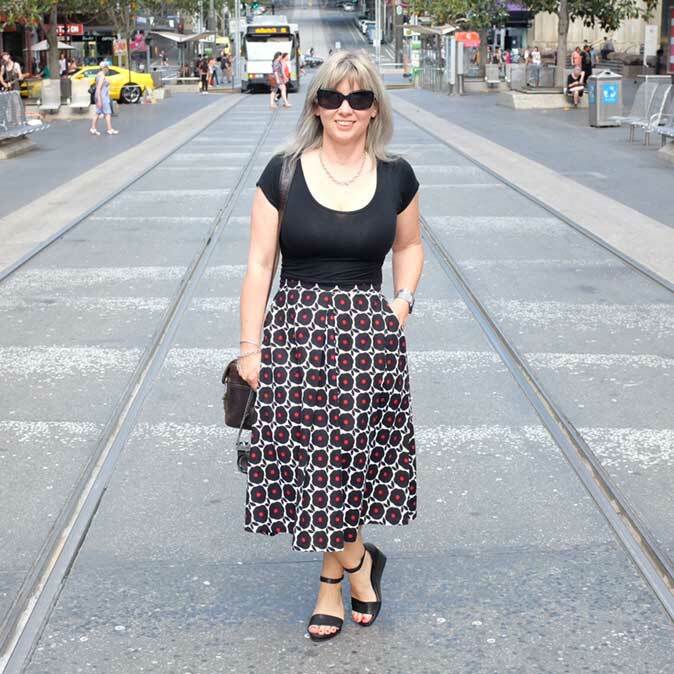 Tuesday, I decided to wear one of my all time favourite dresses….a vintage tablecloth that has been made into a dress, over a black shift with a black belt and heels. 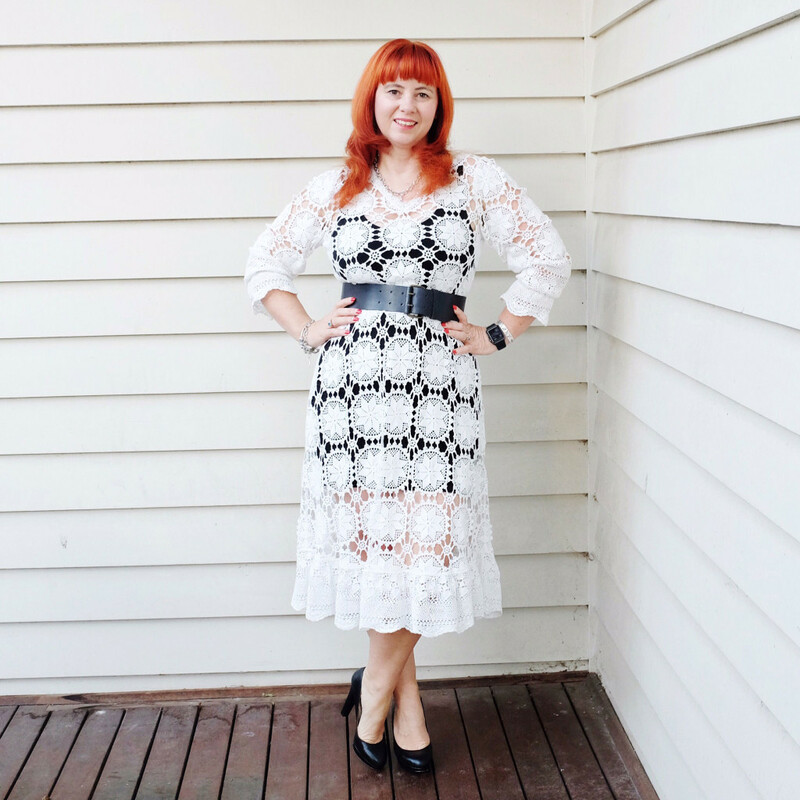 This is one dress that never fails to get compliments! 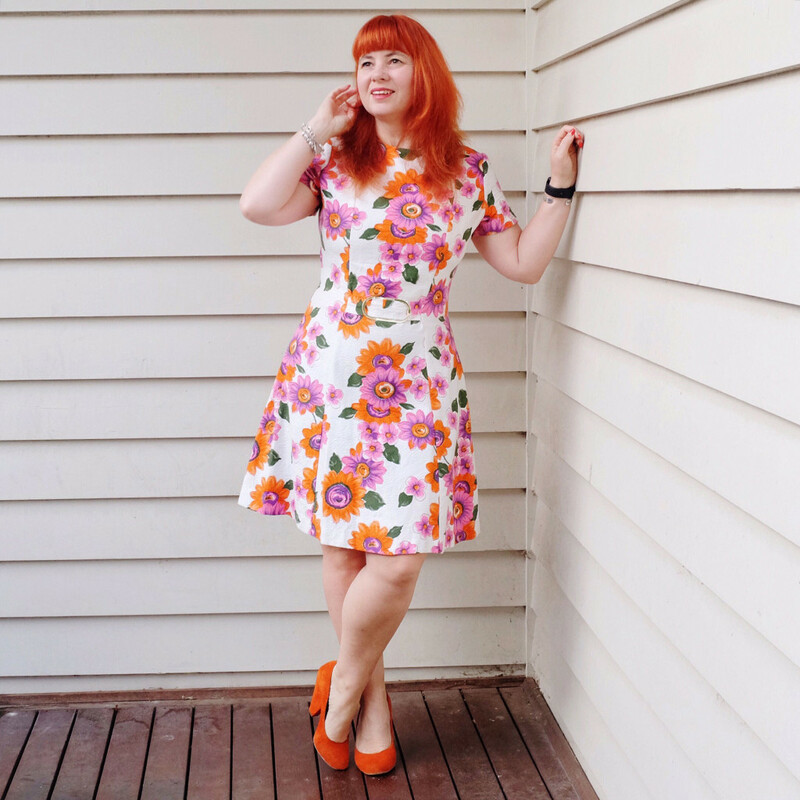 Wednesday, I ramped up the colour and wore another favourite vintage dress….just love the gorgeous vibrant print…and for more colour, I added my favourite op shop find orange heels. Not surprisingly, this one was the most liked outfit over on Instagram for the week! 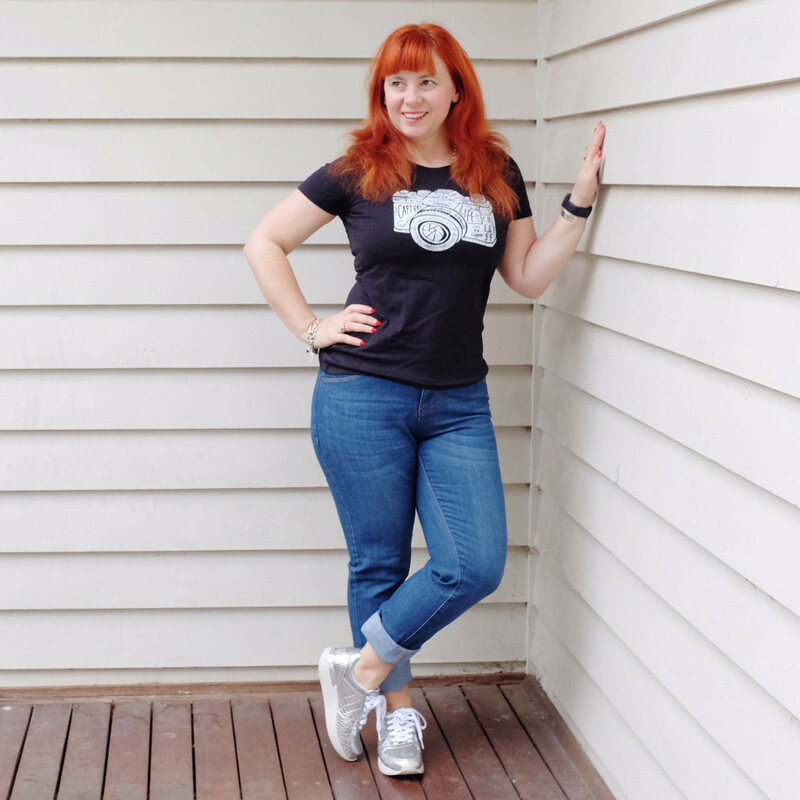 Thursday was a casual day…wore my new Rockmans jeans with a Espirit t-shirt which has a very appropriate image on it. 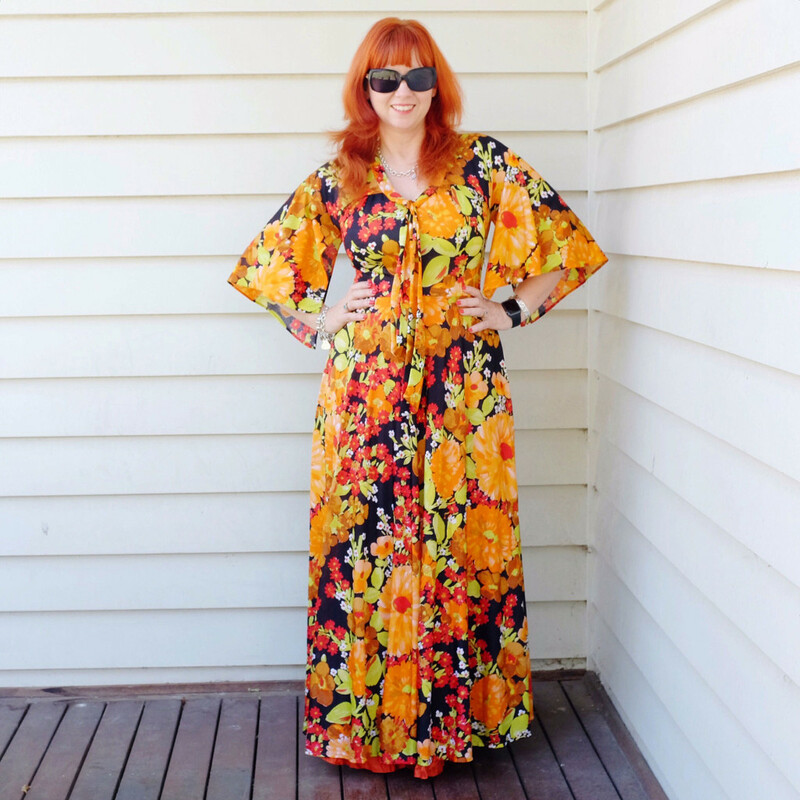 Friday was the start of the Easter holidays…had a quiet day, catching up with family and getting ready for our trip, but broke out this fabulous vintage dress found at Vintage Garage…just love the sleeves! 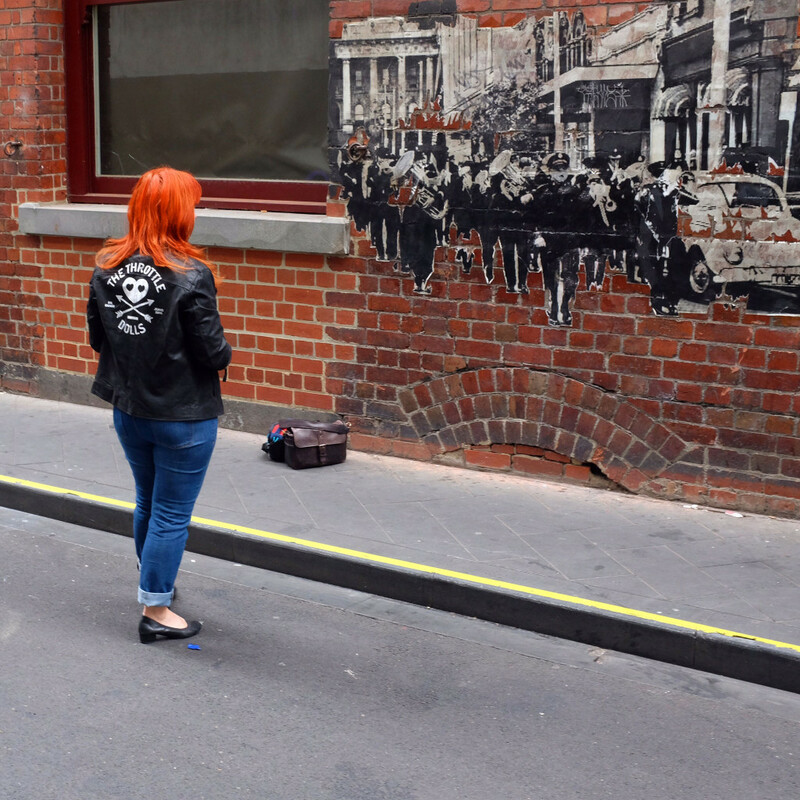 Saturday we headed into the city and explored some more laneways…wore my Rockmans jeans with a Throttle Dolls leather jacket that I bought ages ago…finally the weather was cool enough to wear it!